Sun., Sept. 2, 2018, 9:30 a.m. 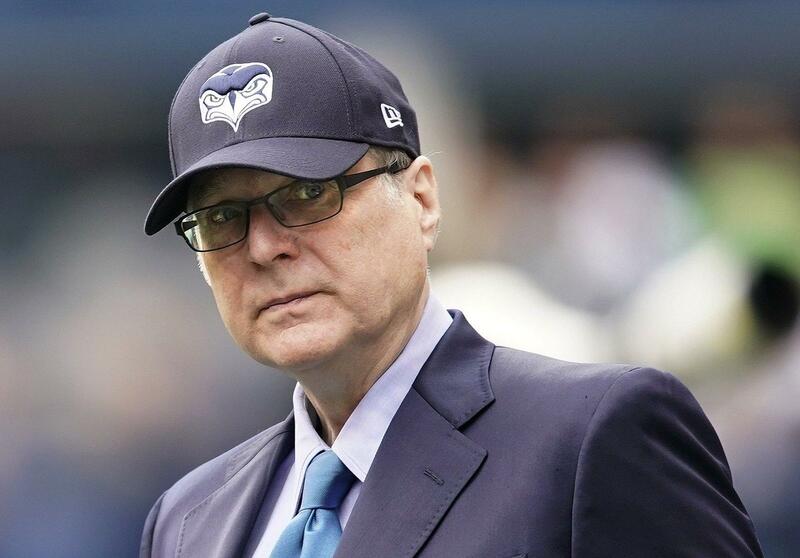 Billionaire Seahawks owner and Microsoft co-founder Paul Allen this year has made his largest-ever foray into congressional politics, donating $100,000 to a group aiming to keep Republicans in control of the U.S. House of Representatives. The June 14 donation, disclosed in mid-July, went to Protect the House, a committee headed by House Majority Leader Kevin McCarthy, R-Calif. It’s the biggest check Allen has ever sent to a federal political candidate or committee, according to a review of Federal Election Commission (FEC) filings. Protect the House is a joint fundraising committee, a type of group that allows wealthy donors to make a single large contribution which is then divided up among multiple candidates and political-action committees (PACs) across the country. FEC records show the largest chunk of Allen’s $100,000 was sent to the National Republican Campaign Committee (NRCC), which received $33,900. An additional $5,000 went to the Great America Committee, a PAC created by Vice President Mike Pence. More than a dozen other congressional Republicans from Iowa to New York received about $2,600. Overall in the 2017-18 election cycle, Allen has donated $173,500 to Republican congressional candidates and PACs compared with $45,900 to Democratic candidates and PACs, FEC records show. The GOP tilt represents somewhat of a turnabout from Allen’s past political giving on the federal level, which has tended to be more bipartisan – and even Democratic-leaning in most years. In the 2016 election cycle, he donated $74,500 to federal Democratic candidates compared with $52,400 to Republicans. Allen’s representatives declined to discuss the reasons for the shift in his political donations or what policies of the House Republicans he appreciates this year. “Paul Allen has supported both Republicans and Democrats over the years, and he will continue to support candidates on both sides of the aisle,” said John Pinette, a spokesman for Allen, in an emailed statement. In a follow-up email, Pinette listed an additional $43,400 in contributions he said Allen has made to 21 congressional Democrats, including U.S. Sen. Maria Cantwell and all six Democratic House members from Washington state. Allen already has donated to the re-election campaigns of the state’s House Republican members. Protect the House has raised more than $13 million, according to FEC reports covering the period ending June 30, with Allen’s check putting him among the top 50 donors to the committee nationally. Allen’s June 14 donation came on the same day another NFL team owner, Houston Texans owner Robert McNair, gave $371,500 to the group. Las Vegas casino magnate Sheldon Adelson also gave the same amount. And Tesla CEO Elon Musk has received backlash from some liberal groups for donating $38,900 to the committee in June. Spokespersons for the National Republican Congressional Committee and the Democratic Congressional Campaign Committee declined to comment on Allen’s donations. Allen, whose net worth is estimated at , is identified as owner of the Seahawks on his $100,000 donation. He also owns the Portland Trailblazers and a piece of the Seattle Sounders. But Allen’s interests go far beyond professional sports. He owns the real-estate-development company Vulcan, and founded the Allen Institute for Brain Science and the aerospace firm Stratolaunch, which has built a colossal airplane designed to launch satellites into orbit. He has also backed research into nuclear-fusion power. Federal records show Allen’s longtime lobbyist, T.J. Petrizzo, has lobbied Congress this year for funding and other actions related to nuclear power, satellite technology, artificial intelligence and the opioid epidemic. Over the years, Allen’s political sway has not shown up so much in federal elections but in the six-figure donations he’s made to statewide initiative campaigns. In 2015 he spent more than $2 million to pass an initiative criminalizing the sale or trade of ivory, shark fins or other animal parts derived from certain endangered species. This year, he has given more than $1.2 million in support of Initiative 1639, which would impose additional regulations on firearms, including raising the minimum age to buy semi-automatic weapons to 21 and requiring safe storage of guns at home. Published: Sept. 2, 2018, 9:30 a.m.